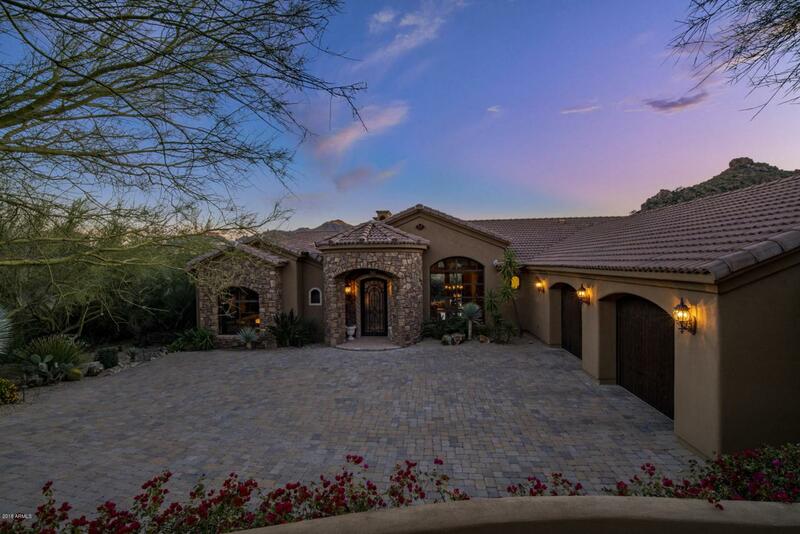 Nestled in the mountains in Troon Village and located within a guard-gated community, this Tuscan-inspired custom home offers a desirable open floor plan and stunning mountain views. The gourmet kitchen, with large center island and wrap around counter, opens to the seating and dining areas while retractable pocket doors incorporate the outdoor entertaining areas. Formal dining area offers stunning views of Troon Mountain. 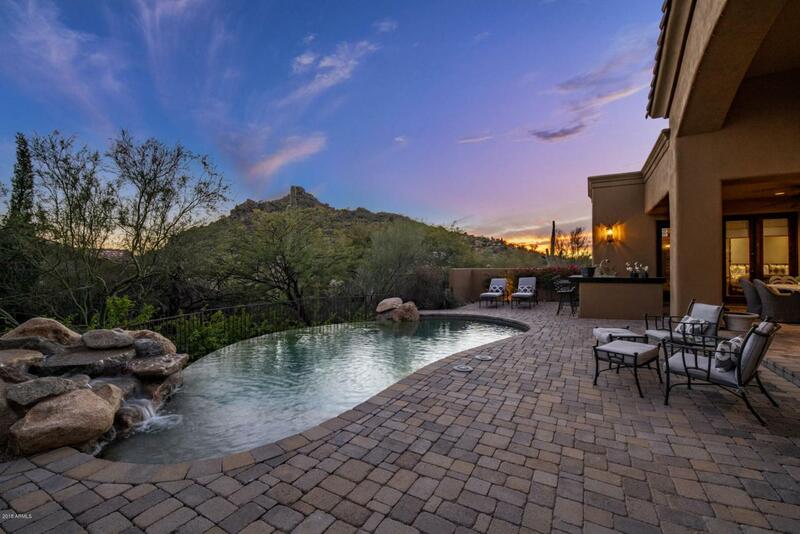 The master retreat provides serene mountain views and is adjacent to an office with commanding Troon Mountain views. The secondary wing of the home offers 2 spacious en-suite bedrooms. A separate office can also serve as a bedroom. 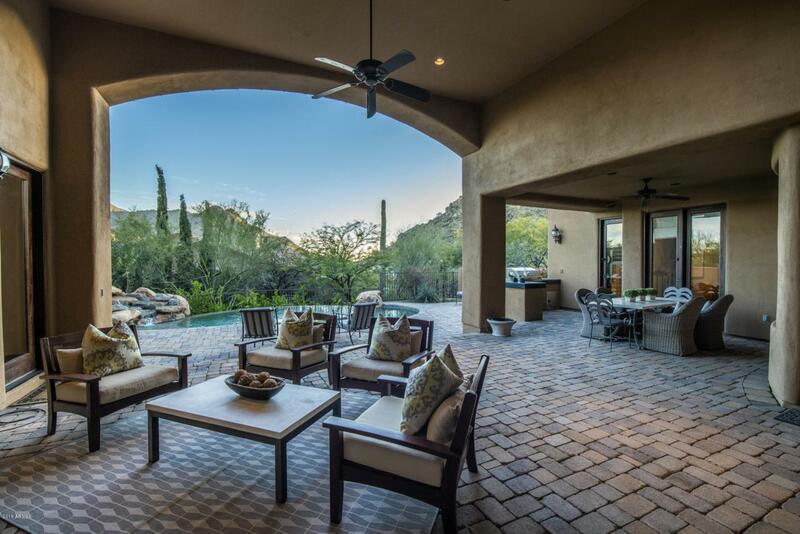 Outdoor space, complete with seating area anchored by a fireplace, includes pool, spa, outdoor kitchen and dining area. 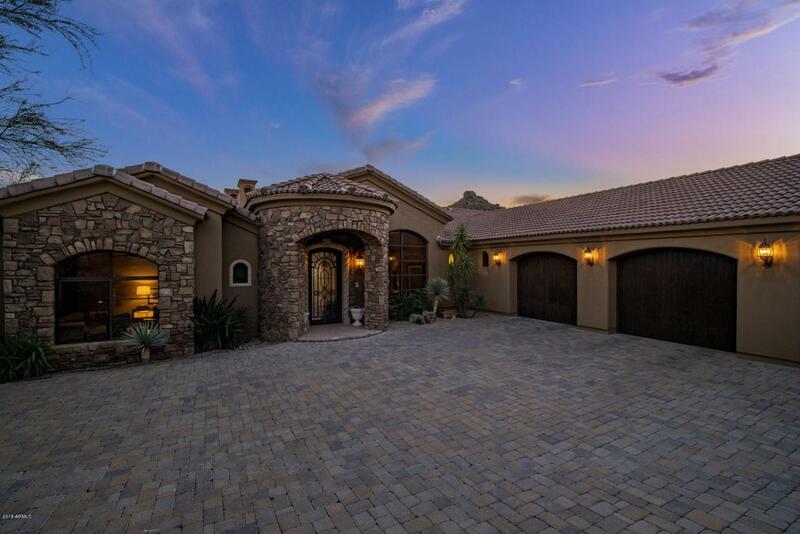 Large 3-car garage.